United Activities Unlimited is on the forefront of youth drug prevention, education and counseling programs. The mission is straight forward… To educate and empower youth through excellence in teaching, mentor-ship, positive role-modeling and counseling. Preventing youth substance use begins with helping students create their own vision of a healthy and successful future. Our programs are rooted in the philosophy of balanced health and wellness and fostering principles that strengthen youth’s natural resilience. Students will develop skills in goal setting, effective communication, emotional awareness, assertiveness, stress management, healthy decision making, positive peer relationships and academic engagement. By utilizing proven- effective strategies and programs, students practice applying skills that promote success and leadership in their everyday lives. UAU’s Youth Prevention Services integrates proactive, research-based, data driven curricula and counseling models to reduce or prevent alcohol, tobacco and other drug use in individuals, families, and communities. We strive to support our students in creating a vision of a healthy future, establishing their goals, and creating steps towards achieving them. Classroom-Based Programs: Too Good for Drugs is a comprehensive prevention education program that provides students the opportunity to develop social and emotional skills by engaging in interactive lessons, games, and activities. Students will learn the skills needed for healthy goal setting, decision making, effective communication, pro-social bonding, refusing peer pressure, conflict resolution, managing emotions, and media literacy. Our prevention specialists are certified in delivering Too Good for Drugs to students in elementary, middle, and high school levels. Life Skills Training is a research validated substance abuse prevention program proven to reduce the risks of alcohol, tobacco, drug abuse, and violence by targeting major social and psychological factors that promote the initiation of substance use and other risky behaviors. This comprehensive and exciting program provides adolescents and young teens with the confidence and skills necessary to successfully handle challenging situations. Sanford Harmony is a social emotional learning program that cultivates strong classroom relationships between all students. Students are empowered to communicate, cooperate, connect, embrace diversity, and resolve conflict. The goal of Sanford Harmony is to reduce bullying, and help develop youth into tolerant, compassionate, and caring adults. Second Step is a universal, classroom-based program designed to increase school success and decrease problem behaviors by promoting social-emotional competence and self regulation. The Second Step program consists of a skills-focused, social-emotional learning (SEL) curriculum that emphasizes skills that strengthen students’ ability to learn, have empathy, manage emotions, and solve problems. Life Skills Training is a research validated substance abuse prevention program proven to reduce the risks of alcohol, tobacco, drug abuse, and violence by targeting major social and psychological factors that promote the initiation of substance use and other risky behaviors. This comprehensive and exciting program provides adolescents and young teens with the confidence and skills necessary to successfully handle challenging situations. Too Good for Drugs is a comprehensive prevention education program that provides students the opportunity to develop social and emotional skills by engaging in interactive lessons, games, and activities. Students will learn the skills needed for healthy goal setting, decision making, effective communication, pro-social bonding, refusing peer pressure, conflict resolution, managing emotions, and media literacy. Our prevention specialists are certified in delivering Too Good for Drugs to students in elementary, middle, and high school levels. Sanford Harmony is a social emotional learning program that cultivates strong classroom relationships between all students. Students are empowered to communicate, cooperate, connect, embrace diversity, and resolve conflict. The goal of Sanford Harmony is to reduce bullying, and help develop youth into tolerant, compassionate, and caring adults. 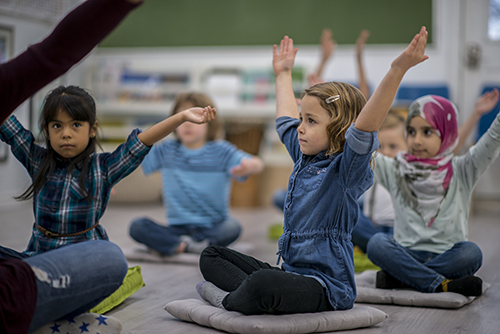 Second Step is a universal, classroom-based program designed to increase school success and decrease problem behaviors by promoting social-emotional competence and self regulation. The Second Step program consists of a skills-focused, social-emotional learning (SEL) curriculum that emphasizes skills that strengthen students’ ability to learn, have empathy, manage emotions, and solve problems. 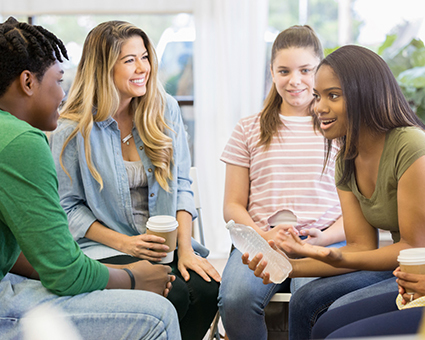 Teen Intervene is an evidence-based early intervention method for teenagers ages 12-18 who are experiencing mild to moderate problems associated with alcohol or other drug use. Hazelden Betty Ford’s Teen Intervene program provides education, support, and guidance for teens and their parents. In this screening and brief intervention model of care, youth work one-on-one with their counselor in identifying and changing their choices and behaviors, as well as developing a road map for future needs (if necessary).